The Deetken Group welcomes Becca Zalmanowitz to the team! The Deetken Group is excited to welcome Becca Zalmanowitz to the team. Becca is passionate about travel and spent over a year travelling and living in Mexico and Central America. She loves outdoor sports, including snowboarding, surfing, hiking, and cycling. Prior to starting her career in economic analysis, she spent 7 years working in the restaurant/hospitality industry, and is passionate about tackling the many unique challenges that face this industry. Becca holds a BA in economics from the University of Alberta and an MA in economics from UBC. Stay tuned for Becca's full bio coming to the Team section soon! The Deetken Group welcomes Colin Spear to the team! The Deetken Group is excited to welcome Colin Spear to the team. Colin recently joined The Deetken Group as an Associate. With a combination of economic rigour, advanced data analytical techniques, and policy analysis experience, he is well-equipped to address complex client concerns ranging from economic and financial modeling to operations optimization to policy evaluation. Prior to joining Deetken, Colin worked at the University of Zurich conducting research into the long-run determinants of economic development. Colin came to Vancouver from Colorado via San Diego (where he founded and operated a community supported bakery), Barcelona, and Zurich. He loves spending time outdoor and playing guitar, and is planning on getting a kayak paddling certification this summer. Colin holds a BA from Fort Lewis College and a Masters in Applied Economic Analysis from Barcelona Graduate School of Economics. Stay tuned for Colin's full bio coming to the Team section soon! The Deetken Group welcomes Suiki Zhang to the team! The Deetken Group is pleased to announce the addition of a new member to our team, Suiki Zhang. Suiki recently joined Deekten as the Office and Operations Lead after gaining experience in managing her own start-up which included facets such as operations , sales, marketing and financial management. She is also a recognized communication expert in many phases of effective communication, a television host, radio host, event and wedding emcee, script writer and event coordinator. Suiki holds a Bachelor of Science from University of British Columbia, majoring in Behavioural Neuroscience and minoring in Commerce. With a great passion for languages, she is fluent in English, Mandarin Chinese and Cantonese and also studied French and Japanese. In her free time, she enjoys indulging in delicious food around the city. Stay tuned for Suiki's full bio coming to the Team section soon! The Deetken Group welcomes Serge Gosselin to the team! The Deetken Group is excited to announce the addition of a new member to our team, Serge Gosselin. Serge brings a wealth of knowledge in data science, software engineering, computational geometry, and quantitative finance. 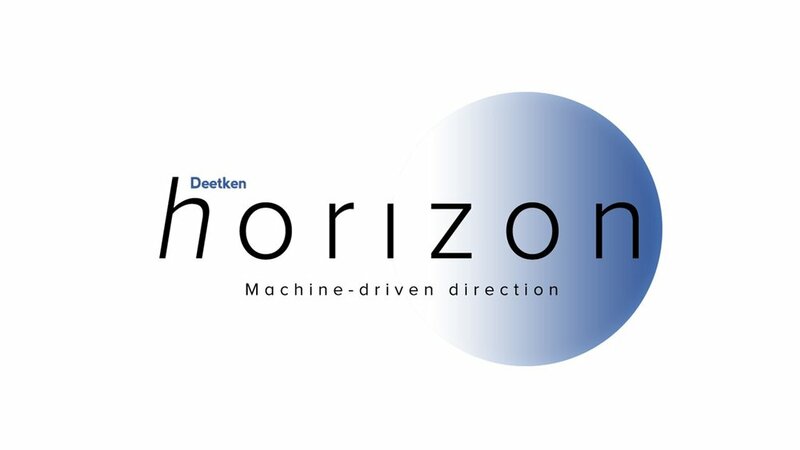 As a Senior Associate, Serge will be a core leader of Deetken Horizon, our machine intelligence team, and will further build our data science and computational analysis capabilities. Serge’s education and experience includes a PhD with research focused on unstructured mesh generation in engineering simulations from the University of British Columbia (UBC), a Master of Applied Science in numerical shape optimization, both from the University of British Columbia, and a Bachelor of Mechanical Engineering from Université Laval. He also has a strong interest in finance, having passed the level 1 and level 2 examinations of the CFA program and is fluent in French. He previously held positions where he worked on projects ranging from automated trading algorithms to thermal management simulations. Serge is an avid skier, hockey player and hobbyist mechanic. Stay tuned for Serge's full bio coming to the Team section soon! The Deetken Group welcomes Thomas Reimer to the team! The Deetken Group is pleased to welcome Thomas (Tom) Reimer to the team. Tom joined Deetken in mid-August as an Associate in our consulting group. He brings deep experience in applied advanced analytics and a strong skill set in data manipulation to the team. He has refined this expertise while working as a research assistant on various projects at the University of British Columbia (UBC), including a recent project focused on engineering a complex web scraping program. Tom spends his free time hiking, backcountry skiing and volunteering in his community, including as a math tutor. He is also a member of the UBC’s Varsity Outdoors Club and Sailing Club. Tom has a BA in Economics and Math and a MA in Economics, both from UBC. Check out Tom’s full bio in the About Us>Team section. The Deetken Group welcomes Kelli Gruhl to the team! The Deetken Group is pleased to welcome Kelli Gruhl to the team. Kelli recently joined Deetken as Office and Communications Administrator. She brings significant experience from previous administration positions in the health sector, together with a unique perspective on communications and social media. Kelli recently graduated from Queen’s University with a BSc in Biology and Health Studies. With a strong personal interest in business intelligence, Kelli is working towards building on her degree through data analytics studies. After living in Vancouver for about a year, Kelli has become a member of the Vancouver Women’s Australian Rules football league and spends her free time exploring the mountains in BC. Check out Kelli's bio in the About Us>Team section our website, along with the rest of the Deetken team. Many of you may be familiar with bits and pieces of our work. We are pleased that our new website brings together our diverse experience and skills and showcases the connections – and distinctions – between our consulting branch and our asset management division. Our news section offers a space to share reflections on what we are learning through the work we are doing. The Deetken Blog, updated regularly, provides snapshots of some of the exciting things we are thinking about or doing. For us, this is more than a website. It’s the story of who we are – as a company and as individuals. Please visit often and share widely! Deetken writes and directs our first animated shorts! You may not think that, as a management consulting and asset management company, Deetken would be in the animation business. Think again! We recently completed a major project focused on improving employment outcomes for immigrants. As part of this project, Deetken developed three training modules (which can be accessed here) to help employment and settlement counsellors to improve employment outcomes for immigrants. To reinforce learning outcomes, Deetken developed animated shorts that tell the stories of two newcomers to Canada: Priya from India and Zeina from Syria. Priya has immigrated to Canada with her husband Ajay, who entered the country through the Federal Skilled Worker Program, and their teenage son, Anil. Priya’s story illustrates the mix of emotions she experiences leaving India and settling into life in a small town in northern BC. Priya’s story focuses on her quest to find employment and the support she receives from an Employment Services Centre and an Immigrant Settlement Organization. Priya’s story part one, can be found here and part two here. Zeina had been living with her children in a refugee camp in Jordan when she was selected for the Canadian refugee program. As Government-Assisted Refugees, she and her children receive Permanent Resident status upon their arrival in Canada. Zeina’s story tells of both the sense of loss and the relief she feels leaving Syria and settling in Burnaby. We accompany Zeina in her search for employment and get a glimpse into the support she receives along the way. Click here for part one of Zeina’s story and here for part two.